Editor's note: China has become the world leader in many aspects of science and technology development over the past five years, shifting from "copied in China" to "created in China". Here's a look at some of the leading achievements. In a move expected to benefit millions of patients suffering from corneal blindness, the world's first artificial bioengineering cornea created and developed domestically by China went into production in May 2015. 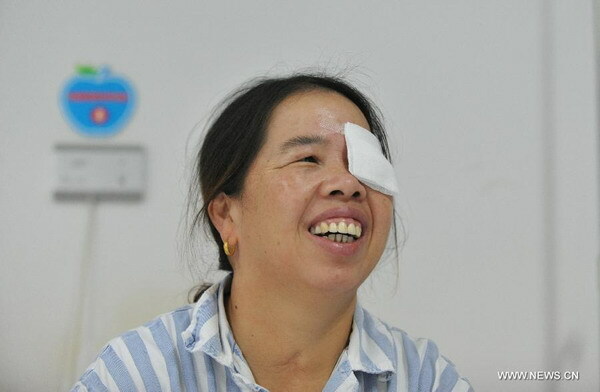 The cornea, of which China has complete intellectual property right, is the first and the only cornea in the world that has completed clinical trials. The artificial bioengineering cornea is expected to bring light to the Chinese patients and 60 million patients overseas soon.